Antiquarian, Second-Hand and New Books. Bought & Sold! 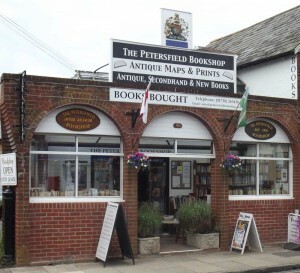 The Petersfield Bookshop is a large and rambling bookshop of a kind that is harder and harder to find these days: a browser’s paradise. We have every kind of book from modern secondhand paperbacks to collectible and antiquarian books of considerable value. 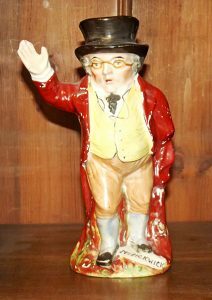 We would love to welcome you in person but if you can’t make then you can search a selection of our stock here on this website or on Abebooks. We can also order new books, often for next day collection, and we have an extensive book search service for any title that you are finding hard to get hold of. On top of all this we offer bookbinding services and picture cleaning and restoration. To get a sense of the shop please take a moment to click on the ‘virtual tour’ button to the right and you can have a virtual browse. 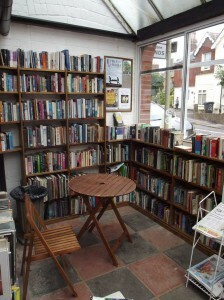 A well-known feature of our shop is the canopied open forecourt where, 24/7 is is possible to browse and buy a selection of books for just 50 pence each which you can pay for using an honesty box in the door when the shop is closed. 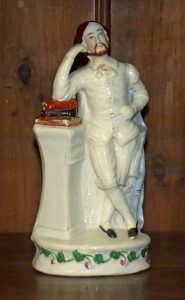 We are regular exhibitors at prestigious book and antique fairs throughout the country. Details of where we are going to be exhibiting can be found on the Events page. We offer 10% Discount on all purchases in our shop to Servicemen and Women Past and Present. The shop was first opened in 1918 by Dr Harry Roberts, an East End doctor who had helped set up the Panel Scheme (the predecessor of the National Health Service). In 1958, Frank Westwood bought the business and relocated it to Chapel Street. Sadly Frank passed away in January 2006 but the shop continues as a family business, with Frank’s wife Ann and sons David and John being partners. We are coming up on 100 years old and we are very grateful to all our friends and customers for helping us get this far and keeping us going so long.